‘The Neglected Genocide’ is a report detailing a series of human rights abuses that took place in the Central Highlands of Papua, during the military operations in 1977-1978. In this publication, the AHRC reports that at least 4,146 Papuans, including children, women, and the elderly were killed. The research found that the methods of killing employed by the Indonesian military at that time included aerial bombings and strafing of villages using America-supplied Bronco OV-10 planes as well as indiscriminate shooting. Apart from the killings, interviews conducted by the AHRC with the victims also revealed that sexual violence against women; torture and ill-treatment of Papuans by the Indonesian military were common at that time. The military were also reported to have burned the houses and destroyed the crops of the Papuans forcing to leave their homes and go into hiding. Some of the Papuans went to the jungles where access to food, water and protection from diseases was limited. Some others fled to the neighbouring country, Papua New Guinea. In this report, the AHRC argues that the aforementioned series of atrocities amount to genocide as defined by the Convention for the Prevention and Punishment of the Crime of Genocide adopted by the United Nations General Assembly in 1948. 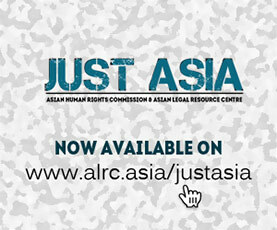 The report is available in English and Indonesian.